Customers can be seen on Thursday outside L.L. Bean's Hunting and Fishing Store in Freeport. Many said a boycott effort targeting the outdoor retailer would not stop them from shopping there. Linda Bean’s Maine Kitchen and Topside Tavern sits across from L.L. Bean on Thursday in Freeport. Thomas (right) and Susan Willoughby of Irvington-on-Hudson, New York, walk from Linda Bean's Maine Kitchen and Topside Tavern toward Main Street near L.L. Bean on Thursday in Freeport. Both said a boycott effort targeting L.L. Bean because Linda Bean sits on the board would not affect their shopping. 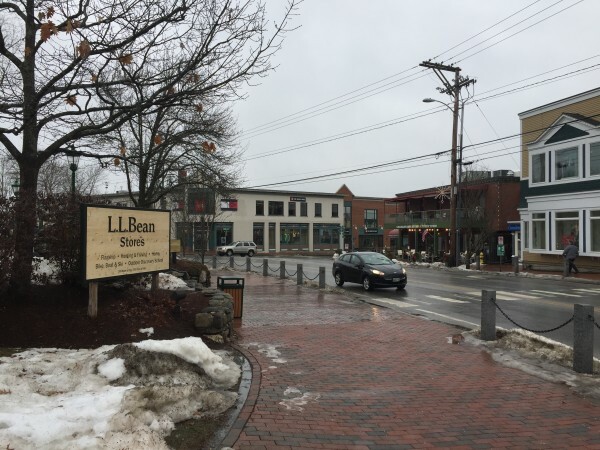 FREEPORT, Maine — A California-based boycott effort that targeted L.L. Bean after the founder’s granddaughter donated to a pro-Donald Trump political action committee ignited a social media firestorm Thursday, including a tweet from the president-elect. But there were no signs of that online cataclysm Thursday on the quiet streets of downtown Freeport. 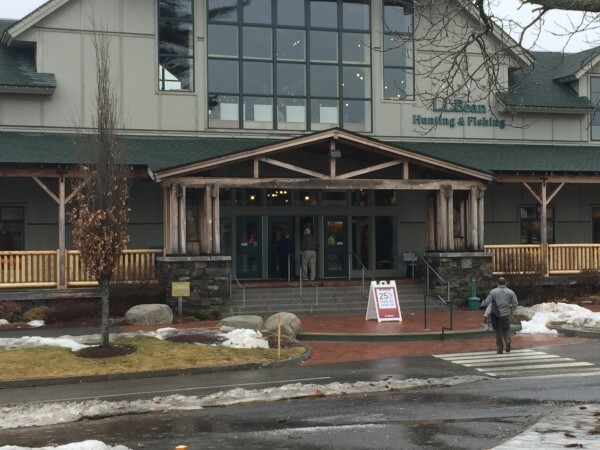 Loyal patrons of all political persuasions shopping at the iconic Maine retailer’s flagship and satellite stores said the boycott wouldn’t affect whether they shop at L.L. Bean. Most, including fierce opponents of Trump, deemed it foolish and misguided. And the morsel of Twitter praise from Trump on Thursday could end up doing more to boost the brand that has about 53,028 followers on Twitter. The incoming president has more than 19.4 million, giving Trump a platform that Harvard business professor Katherine DeCelles said the president-elect has used in an unprecedented fashion. “His behavior as a president-elect is completely different from anything we’ve ever seen before, in terms of the economic consequences,” DeCelles said. Trump has taken to Twitter mostly to criticize major U.S. corporations or specific deals, going after Boeing in December 2016 for the price tag on a new Air Force One and slamming GM in moves that CNBC reported have proven their ability to damage a company’s public sentiment. The boycott followed news that a political action committee bankrolled by Linda Bean, a granddaughter of L.L. Bean founder Leon Leonwood Bean, faced possible federal penalties for accepting more than $5,000 in personal contributions from her. The committee Making America Great Again LLC said it would restructure as an unrestricted “super PAC” to comply with federal law. Linda Bean, a Republican who twice ran unsuccessfully for the Republican nomination in Maine’s 1st Congressional District, began purchasing lobster wharves and processing plants in the midcoast region about a decade ago. 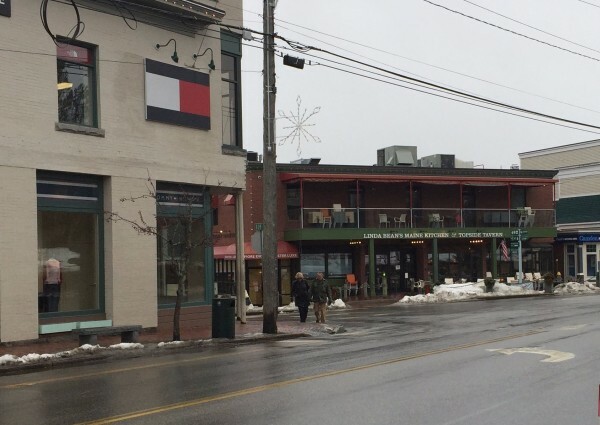 She created a brand, Linda Bean’s Perfect Maine, that now includes a number of stores and restaurants such as Linda Bean’s Maine Kitchen and Topside Tavern, across Main Street in Freeport from L.L. Bean’s flagship store. While Bean is a member of L.L. Bean’s board of directors, she does not participate in the company’s day-to-day management. Trump’s tweet also highlights her lobster business. On Thursday in downtown Freeport, customers flowed in and out of L.L. Bean’s various stores, trying on hiking boots and tying new skis onto their cars. Wayne and Marie McCarthy drove south from New Sharon on Thursday with a pair of Wayne McCarthy’s L.L. Bean boots, hoping the store’s famous customer service slogan would cover the worn-out tread. “They need to mind their business and leave her alone,” Marie McCarthy said of the online boycott organizers as the couple headed across Main Street. “It’s sad and pathetic,” Susan Willoughby agreed. Matt Ouellette of Auburn was unimpressed with the topic, and he said the boycott played no role in his decision to do shop at L.L. Bean. Dr. Patty Bedker of Peaks Island headed across Freeport Village Station clad in almost head-to-toe L.L. Bean gear, she said, pointing to her yellow rain slicker, hiking boots, shoulder bag and striped turtleneck. Research indicates boycotts don’t typically affect a company’s sales, but prolonged bad press can harm its reputation, which in the case of L.L. Bean represents a century of careful branding. And that, in turn, can have other consequences that drive them to act. Brayden King, a professor at Northwestern University’s Kellogg School of Management, said reputational damage could make a company a less attractive career option for up-and-coming business school graduates. King’s research found companies were most likely to respond to boycotts after seeing a decline in their public reputation, and those declines were exacerbated by more drawn-out media coverage. Kelsey Goldsmith, president of the public relations firm Lovell & Paris, said the company’s statement could have done more to quash the story propelled ahead Thursday morning by a tweet from Trump and, later, from Gov. Paul LePage. “I think the story has more legs as a result of how L.L. Bean dealt with it,” Goldsmith said. The company’s response focused on its employees, its history in Maine and respect for diverse political opinions, a response that Goldsmith said could have been more direct. The donations that sparked the uproar are hardly Bean’s first forays into supporting Republican candidates and conservative causes. In the 2016 Republican primary alone, Bean supported libertarian-leaning U.S. Sen. Rand Paul and former Hewlett-Packard CEO Carly Fiorina before maxing out to Trump’s campaign in late June. Bean has given more than $580,000 in political contributions from 1996 to 2016, according to state and federal campaign finance filings. On “Fox and Friends,” she defended her right to do so and said that she’s not going to resign from the board of directors in response.